Forbes ran an article recently that highlighted a study by the FINRA Foundation that estimated that two-thirds of Americans couldn’t pass a basic financial literacy test. 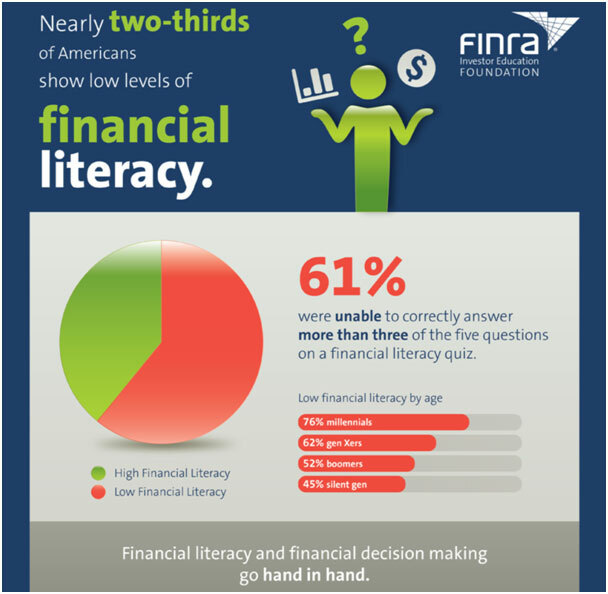 It is no secret that Americans have low levels of financial literacy and find making the right financial decisions difficult. As of 2018, only five states required that high schools have a mandatory personal finance class before students get a diploma. As such, by the time most 18-19 year olds leave home and begin making more decisions about their money than ever before, they are virtually inept and prone to poor financial decisions. The consequences of financial illiteracy are very real. Students graduate from college (or not) with daunting amounts of student loan and credit card debt, and struggle to make even a simple budget for themselves. I empathize with the majority, as we do a poor if not awful job in educating people early on the basics. The reader base of Omahacharts.com knows that this blog has covered many aspects of technical analysis with an emphasis on the quantitative side of things. The reality is, most people don’t know what technical or quantitative analysis of markets is, and those two words used together is enough to bore (or scare) most to death. They don’t need analysis on an individual stock if they don’t know what a stock is. They don’t benefit from memorizing financial ratios and formulas, gain anything from an understanding of Volume Profile analysis, and Elliott Wave sounds like voodoo studied in a mental institution on the nights with a full moon. Should I contribute to a Roth or Traditional 401k and what is the difference? What is the best way to buy a stock if I don’t know what I am doing? How can I understand compound interest? What should I do to save for my kids’ college expenses? I look forward to trying to make the dry concepts of personal finance consumable. I hope the weekly series helps someone out there save for retirement, pay down debt, or gain a better understanding of investing. The first topic will be this week and I hope to cover something the majority of us have to or had to face at some point: Should I pay down student loan / credit card debt or start investing for the long term? I hope to bring on some guest bloggers for areas where I am not an expert so we can all gain an understanding of important topics. Check back soon for Personal Finance 101 brought to you by Omahacharts.